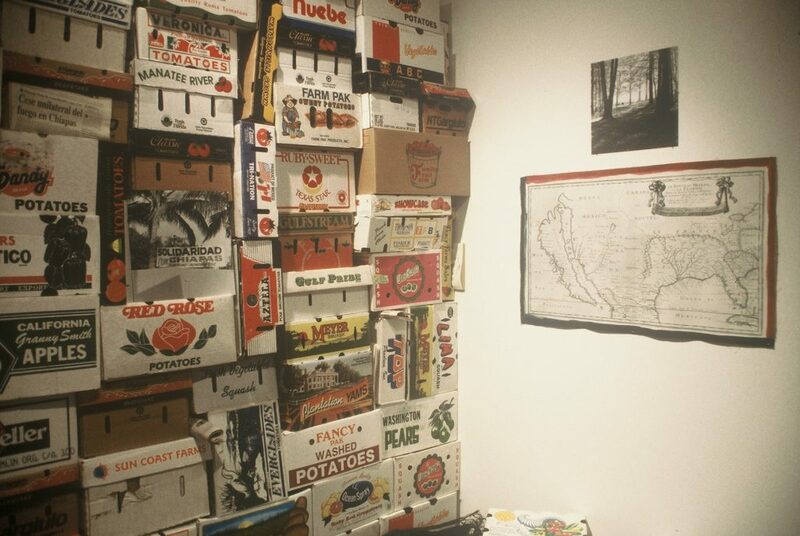 This project by London, Ontario artist Ron Benner, focuses on the issues of power, identity and history in relation to the origins, production, distribution, politics and cultural meaning of food. 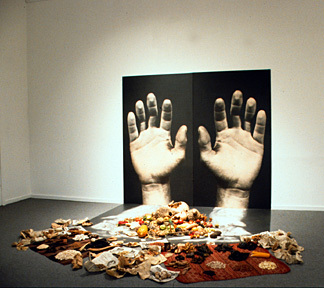 Organized and circulated by the McIntosh Gallery, London, Ontario. Accompanied by a catalogue with texts by curator Peter White and Patrick Roy Mooney, author and leading activist on global environmental and development issues related to sustainable agriculture and biodiversity. Supported in Vancouver by the Canada Council Exhibition Assistance and Visiting Canadian Artists Programs, and by the Lonsdale Quay Hotel & Market. Lecture Presentations: Civil and Uncivil Societies by Patrick Roy Mooney, and Bio-colonization and Bio-piracy: The Final Frontier by Jeannette Armstrong. Organized with assistance from the Pomelo Project, and sponsored in part by the Institute for the Humanities, Simon Fraser University. At Simon Fraser University, Harbour Centre in Vancouver. 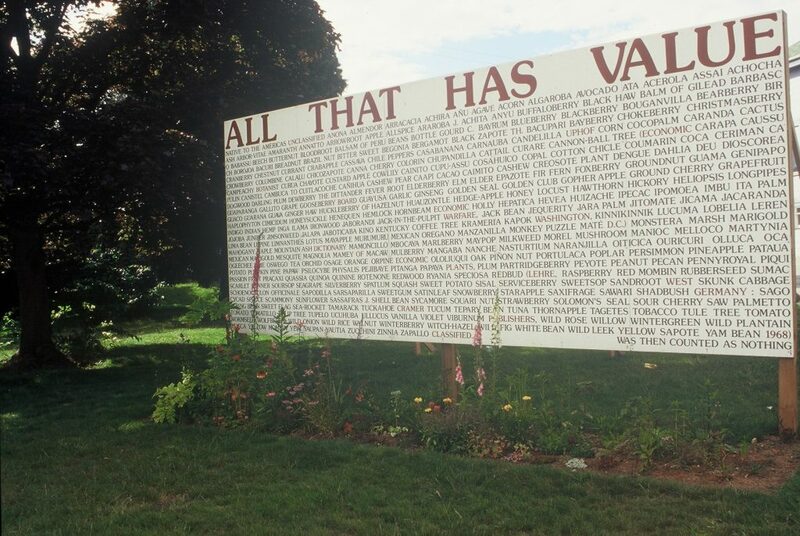 All That Has Value Billboard & Indigenous Garden on the Presentation House grounds - a collaboration by Ron Benner and Mike Macdonald. The Commodification of Life, a photographic mural project installed at the Lonsdale Quay Hotel, North Vancouver, viewable from the Market floor. 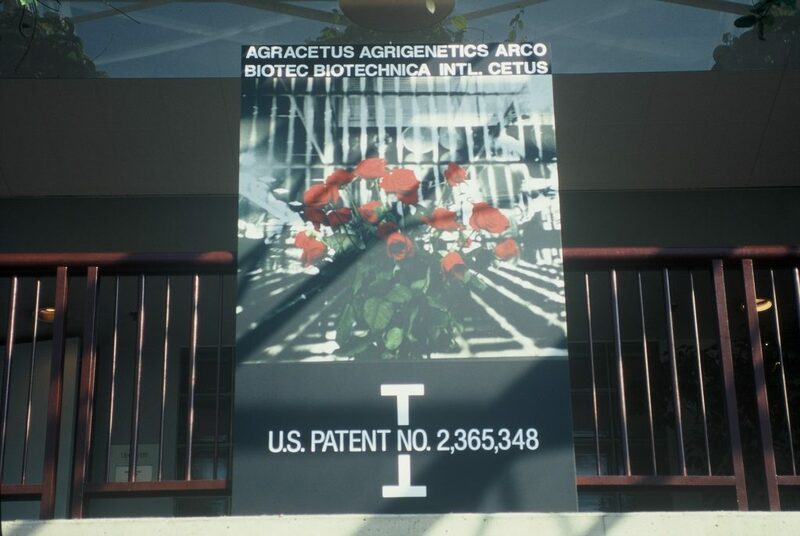 This work is an abbreviated visual history on the chronolgy of Life Patenting, beginning with a hybrid rose and continuing with the recent attempt by the US government to patent the blood cell line of a Guaymi woman from Panama. Inventory, a mural project installed in the canned goods section of Save-On Foods, Park & Tilford, North Vancouver. 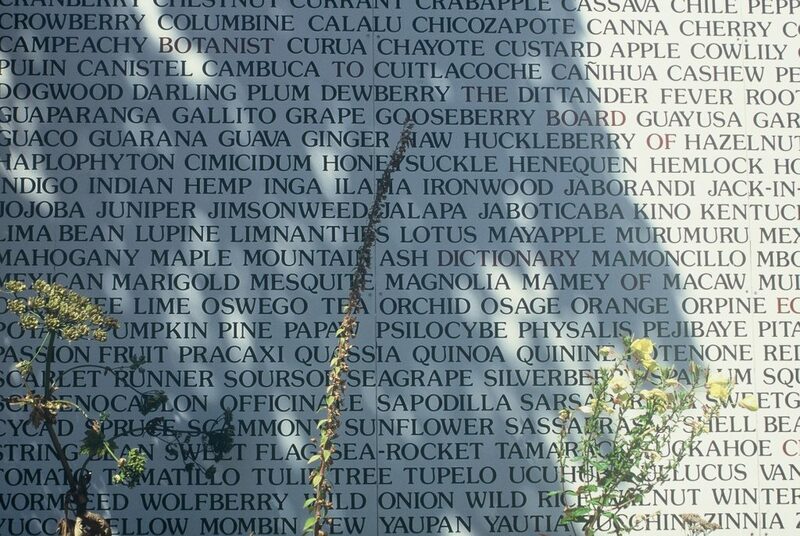 This work traces the history of certain foods - corn, beans, potatoes and tomatoes. 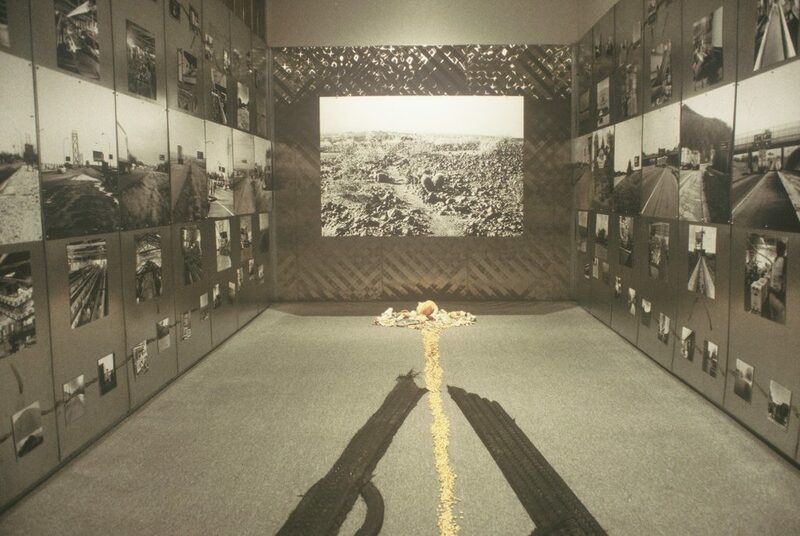 Throughout the run of the exhibition; open during store hours. Gardening for Butterflies, Workshop by Mike MacDonald on the Presentation House Grounds. Ongoing tours and workshops for student groups.